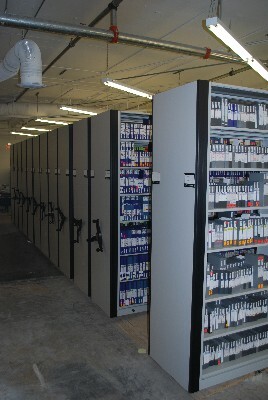 MTM Business Systems has designed several of the Largest Movie Studio Archives in Southern California for movie lots, television shows, stages and tape vaults. Shelving systems have been designed for the storage of DVDs, CD-Roms, Cassettes, U-Matics, Betas and other Media Sizes are available. 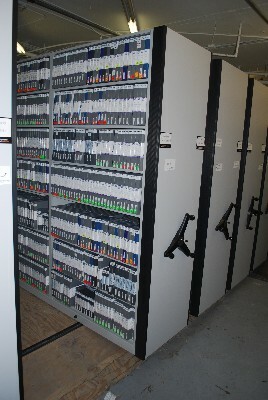 Our Multi-Media Storage section of the Web site features a variety of media storage solutions, each of which are fully customizable. The first picture on the right side of the page is from our Hollywood Vaults project. 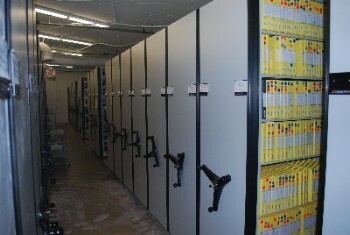 You can visit Hollywood Vaults Web site by clicking HERE for a virtual tour of this world class secure self storage film, tape and digital media storage facility located in Hollywood, California. Also check out our install featured on Monday Night Football and Best of LA.